Valentine's Day is celebrated by many people around the world on February the 14th. We offer you to declare your love using Loving Hearts screensaver. You will see two animated hearts that beat together and a lot of small hearts fly over it. Red and black colors, smooth background will create holiday atmosphere. Install this screensaver to your computer. 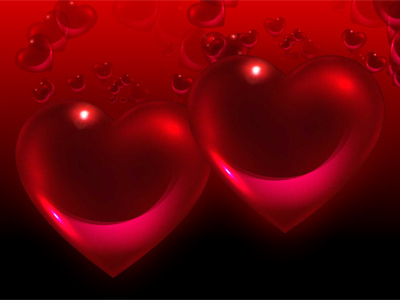 Loving Hearts screensaver is absolutely free and compatible with any desktop Windows PC and any screen resolution. Your sweetheart will surely appreciate your attention. It is very compact, easy and funny screensaver! Create romantic mood and enjoy it as much time as you want! LOVING HEARTS SCREENSAVER ------------------------------------------ Copyright The enclosed software and accompanying materials ("Software") are a copyrighted property of the Author, and can be used only under the terms of this License. Reproduction of the Software in whole or in part in any form or medium without an express written permission of the Author is prohibited.